I’d like to introduce myself, I am Jack and I am a student from Manchester, England in the United Kingdom and I am 17. 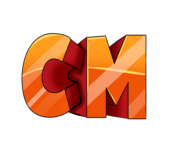 I am so very pleased to announce our new network, CartelMC, owned and managed by Kiko and I. Kiko and I, have owned several servers specifically HCF servers since 2015 and from that have gained valuable experience from it; of which we will employ on Cartel. CartelMC is going to be a competitive, fun and thriving network in the months ahead, or at least that is what we are striving for, and we take pride whilst taking upon this project. This is evidently a brand-new project for us, but over the last few months, we have been working and understanding, on the way we want to launch, build and construct a fun-filled community and Minecraft experience. Player to Administrative communication is everything to us, and we venture to be as transparent and be clear with everything we do, want to do, and what we are going to do. However, we want you to be clear with us about what you want to see, so we can make it happen, and that’s why we have set up player feedback channels in our discord and a forum on our website specifically made for such (https://cartelmc.com/feedback). We want it to be player and community based so you have the best experience possible that we can provide, so please tell us if you think we are going about something the wrong way or you don’t like something, that’s what makes it yours!